The goal: read all of the Pulitzer fiction winners for the years ending in 5. The rules: Each of these 12 books must have been on your bookshelf or “To Be Read” list for AT LEAST one full year. This means the book cannot have a publication date of 1/1/2014 or later. Two (2) alternates are allowed, just in case one or two of the books end up in the “can’t get through” pile. 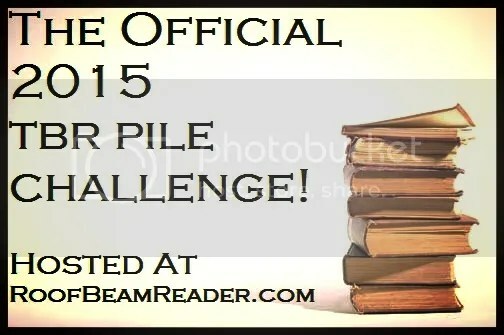 Good luck on your TBR Pile Challenge! I’m doing that one too. I absolutely adore Pride and Prejudice and Wuthering Heights. Happy reading! You found some great challenges. 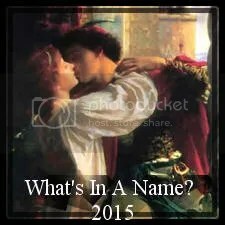 I’ll be joining you for What’s in a Name. Wow, look at all these challenges! I bet you’ll have fun. I signed up for the TBR Pile Challenge, too (and I’ve spent the better part of an afternoon checking out the blogs in the link widget thing). I’m interested in what you’ll think of American Gods and Speak. Good luck to you, and Happy New Year! Love your TBR list! Speak is one of my favorite books of all time. Great lists… I see you enjoy a challenge! Best of luck. I am totally impressed with these lists! I’m participating in TBR challenge, and Pride and Prejudice is on my list as well. It’s just one of those books I’ve always meant to read, you know? Well, you do know because it’s on your list too! Happy reading!